A rich and luxurious emulsion that provides extraordinary hydration. It instantly melts on the skin, deeply infusing it with an unprecedented nourishing and refreshing sensation. 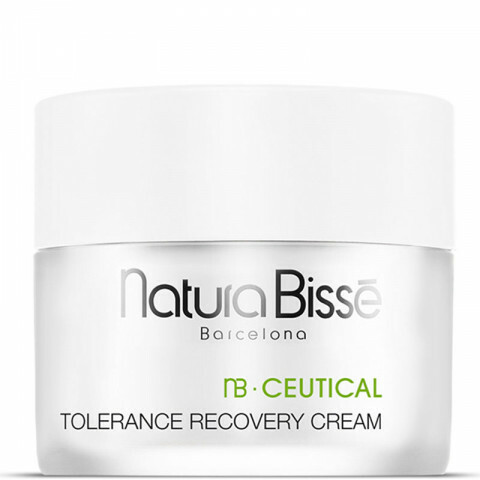 This lavish cream is formulated with Pro-Tolerance Peptide Complex including 30 targeted ingredients. It provides the skin with a youthful appearance and improves the skin's self defense mechanism. Also contains properties to restore the skin's hydration levels while soothing, regenerating and protecting. Good for all skin-types and especially for the most sensitized and compromised skins. This is a fabulous moisturizer. The texture is creamy but rubs in easily and smells great. Better yet, my skin glows and gets all the hydration and plumping it needs. I just love the scent of this cream - same beautiful fragrance in all Tolerance products. To me, it smells like a creamsicle but not coyingly sweet. The cream is light orange and whipped and super light. No greasy feeling at all. Quickly absorbs and hydrates but no heavy feeling. Great for day and night. Definite repurchase! leaves my skin feeling fresh and smooth. This cream does wonders for my skin, especially if I have been in weather that might dry my face. I love the soft feel that comes almost immediately after application. A jar lasts me for quite a long time as it doesn't take a lot of product to achieve results. In just 2 weeks my skin feels smoother and tighter,healthier love the feeling of it, not too heavy and very hydrating.